​Since January 2018, Frank Zielhorst holds the position of Principal Conductor Designate with Sinfonia Viva. Before that, he worked with the Bournemouth Symphony Orchestra as their Young Conductor in Association. Recently, Frank had the opportunity to conduct orchestras like the Ulster Orchestra, the Residentie Orchestra The Hague, the Bournemouth Symphony Orchestra, the Prague Symphony Orchestra and the Tomsk Philharmonic. He will make his Canadian debut this season with the Orchestre Symphonique de Québec. Frank has always combined his symphonic work with operatic productions and has in recent years conducted performances of Viktor Ullmann’s Der Kaiser von Atlantis, written during the Second World War in concentration camp Theresienstadt, and Woody Allen’s “Death Knocks” on music by Christian Jost. Frank worked as assistant-conductor for Garsington Opera, where he conducted the Philharmonia Orchestra and the Garsington Festival Orchestra during productions of Intermezzo and Pelleas et Melisande. 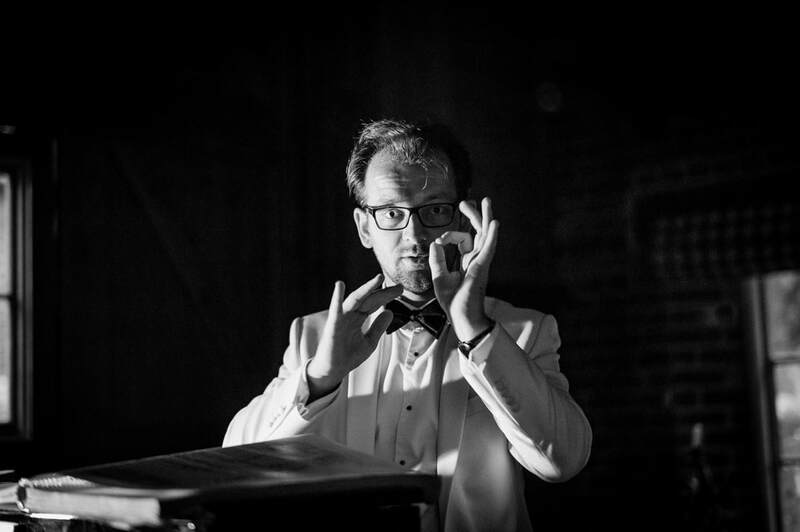 He has assisted on several other opera productions with the Bournemouth Symphony Orchestra, the Dutch Reisopera, Opera Zuid and the Dutch National Opera Academy. During his studies at the Royal Conservatoire in The Hague with Jac van Steen and Kenneth Montgomery, Frank had the opportunity to assist and learn with all professional orchestras in The Netherlands through a programme set up by the Kersjes Foundation. In the last years, Frank has done a lot of education and outreach work ranging from rehearsing Ulster Youth Orchestra to CPD trainings for music teachers and from big school’s concerts with the Bournemouth Symphony Orchestra to work with people on the autistic spectrum with Sinfonia Viva. Frank is a devoted advocate of music in the community and believes music can and should touch everyone.